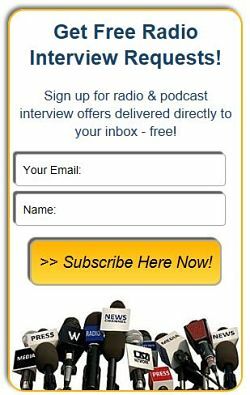 Clint Arthur, Celebrity Entrepreneur & Mentor - Radio Guest List.com - How to Get Radio Interviews and Find Podcast Guests! Clint Arthur transforms authors, speakers, coaches, advisors, consultants, and experts into celebrities in the eyes of customers & prospects. Celebrity Entrepreneurship is Clint Arthur's new book on how "regular people" can be seen as celebrities by people they want to Influence, so that they can have more Impact and Income. The greatest Celebrity Entrepreneur was a man you've never heard of, and you wouldn't recognize his face either. But his use of Celebrity Entrepreneurship techniques resulted in more than $3 Billion in sales, and made him the king of the most competitive industry on earth for more than 2 decades. You can easily use the same methods to add many millions of dollars to your bottom line. Clint Arthur will enthrall your audience with personal stories and parables involving the world's top superstar celebrities, including Mick Jagger, Mike Tyson, Brooke Shields, Snoop Dogg, The Most Interesting Man In The World, and Caitlyn Jenner. Interview Client Arthur for celebrity stories with direct bearing on how any author, speaker, coach, or entrepreneur can have more Impact, Influence, and Income. The Most Important Thing Ever Learned by "The Most Interesting Man In The World"